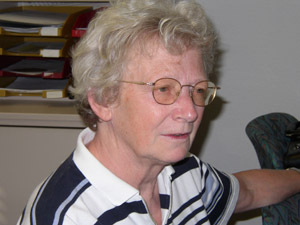 Peyerimhoff, Sigrid D. - component of : Early Ideas in the History of Quantum Chemistry. Photo and © Udo Anders Sigrid Doris Peyerimhoff was born 1937 in Heidenheim/Brenz/Germany. note: sometimes this server seems to be slow and/or overstressed; try at different times. Reviews in Computational Chemistry, 18, 257 (2002). Copyright © June 29, 2003 by U. Anders, Ph.D.